MATERIAL: Semi-clear PVC with PU leather. Magnetic button for the bigger PVC bag top; 5# zipper for the PU leather small purse. 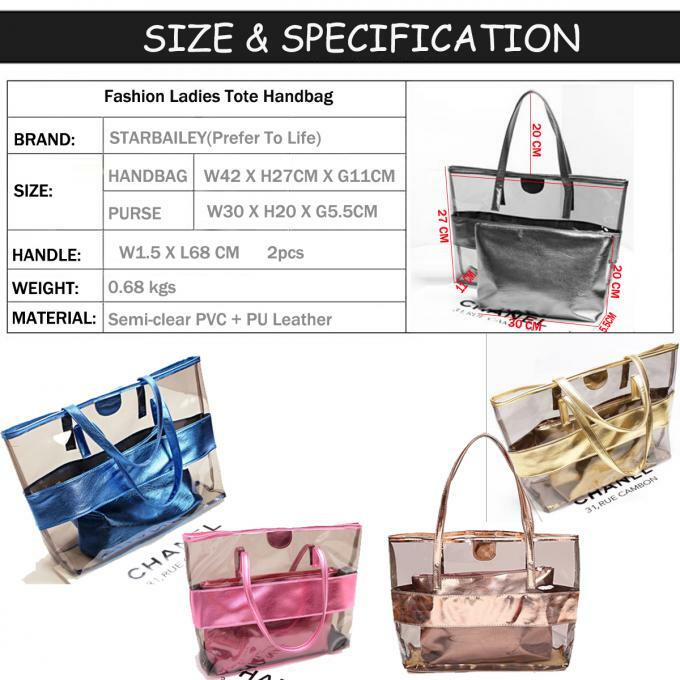 STYLE: Ladies tote handbag, Simple design fashion style. Red-Blue-Champagne-Gold color optional. 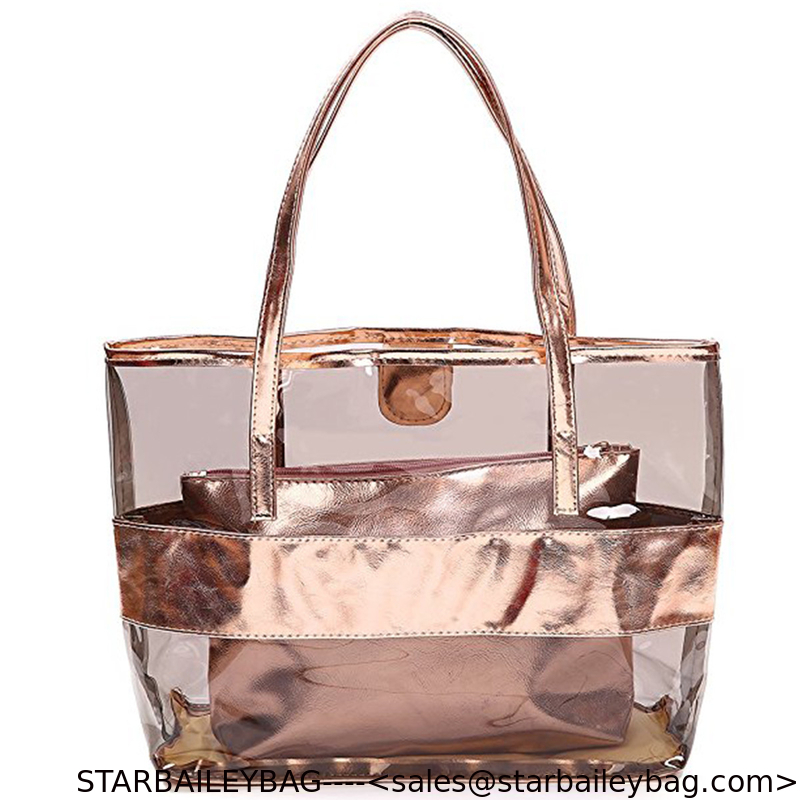 2 pcs bags one set,Each semi-clear handbag is with a small purse. Cute lady bag to commute and fit any accasions and seasons.Perfect Can be used as beach bag,shopping bag,travel bag.etc. Also it is a good chooice as a gift. 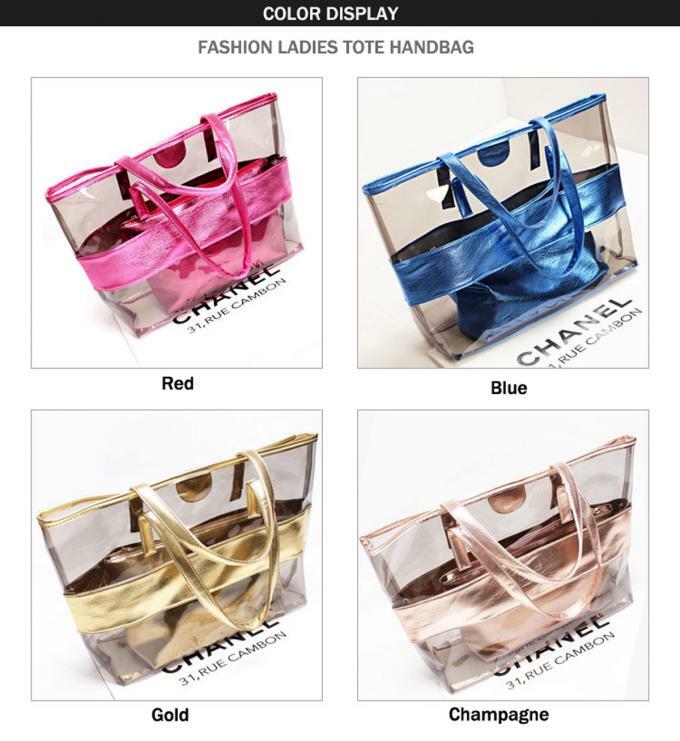 WIDELY PURPOSE HANDBAG USED: clear tote bag large design for your daily neccessary things like T-shirt, shorts,towel,scarf, cap and so on easily! small zipper bag easy for your keys,phone,mirror,glasses, cosmetics, wallet, notecase and orther small thing. Like these bag is your beach life,go shopping,travel frist Choice. and also is a good chooice as a gift. 4 COLORS CAN BE CHOICE: Red Color, Blue Color,Champagne Color, Gold color can be optional! 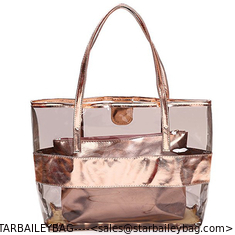 Fashion Women Tote Handbag, Semi-clear PVC with Color PU Leather. Two-piece set bag for ladies, girls, beauty women. 4 color: Red Color, Blue Color,Champagne Color, Gold color can be optional. Women tote bag large design for your daily neccessary things like T-shirt, shorts,towel,scarf, cap and so on easily! small zipper bag easy for your keys,phone,mirror,glasses, cosmetics, wallet, notecase and orther small thing. Like these bag is your beach life,go shopping,travel frist Choice. and also is a good chooice as a gift. 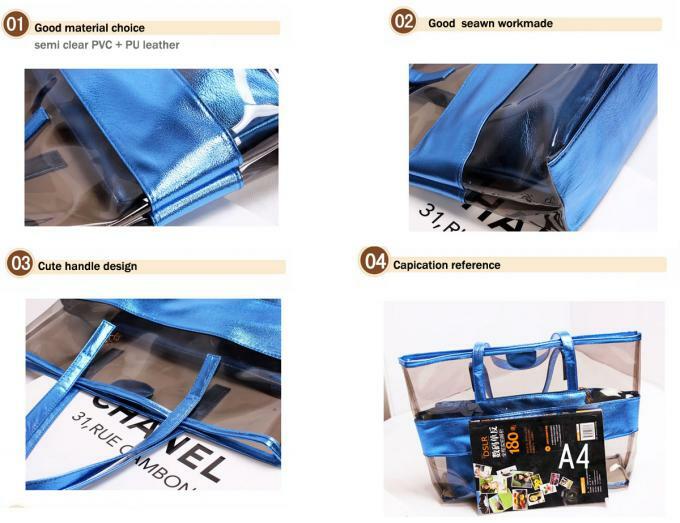 clear tote bag large design for your daily neccessary things like T-shirt, shorts,towel,scarf, cap and so on easily! small zipper bag easy for your keys,phone,mirror,glasses, cosmetics, wallet, notecase and orther small thing. Like these bag is your beach life,go shopping,travel frist Choice. and also is a good chooice as a gift.